Thrash, speed, and melodic death metal have been used to describe the brute-force mosh pit of sounds that define the formidable metal Los Angeles powerhouse Act of Defiance. After the departure of guitarist Chris Broderick and drummer Shawn Drover from Megadeth, the two joined forces also recruiting bassist Matt Bachand and frontman Henry Derek. Their complementary musical fortes coupled with a strong sense of mutual respect paves the way for this metallic supergroup to cut right to the chase. Their debut album, Birth and the Burial, is a testament to the group’s metallic heaviness, which incorporates hefty guitar shredding and a series of creative riffs. 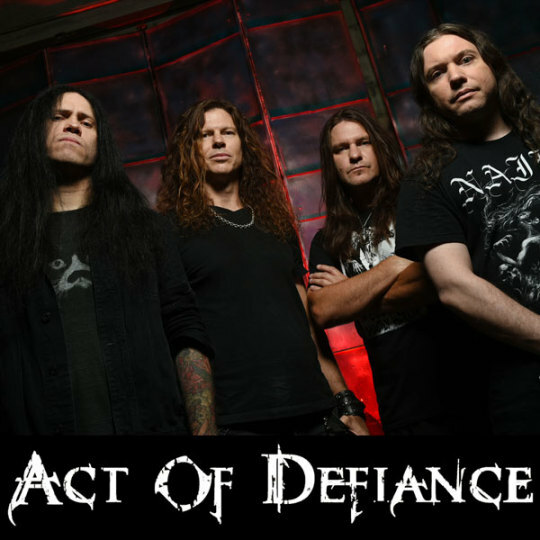 In other words, any metalhead with an appetite for a full frontal thrash attack and eruption of intensity, Act of Defiance delivers exactly that.